A statue of Durga Mahisasura Mardhani who has 8 pieces of hand and stands on the statue of a bull. On each of its right hand from the top to down holding a fly repellent (Camara), Arrow (panah), Knife, and holding the tail of a bull. On each of its left hand from the top to down holding Kadga, Bow for archery, Trisula, Gadha. The ceremony of Alas Kedaton Temple is in Anggara Kasih Medangsia (Balinese Calendar), 10 days after Kuningan Day. Unlike other temples, the other uniqueness that can be encountered in this temple is during the ceremony may not use incense and Kwangen during worship. Similarly, the use of Penjor, when the ceremony performed at Dalem Kahyangan Kedaton Temple we will not found Penjor like other temple ceremonies in Bali and this is also something that is unique. The ceremony should be finished before sunset because they are not allowed to use lights as a means of confinement using fire, when the ceremony is completed, will be followed by Ngerebeg tradition. 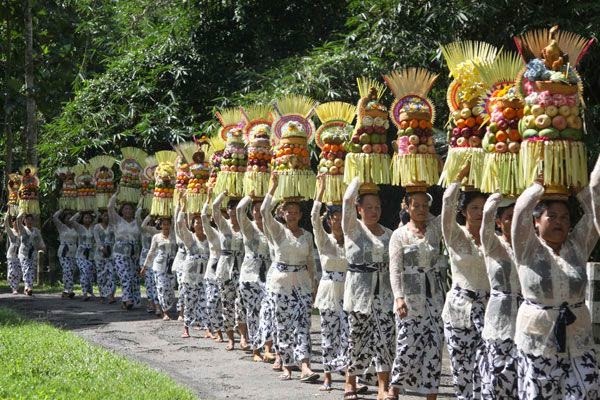 Ngerebeg means run with spears, Tedung (traditional Balinese Umbrella), and some leafy tree branches. Everyone cheered and shouted with joy to follow this ngerebeg tradition. Alas Kedaton Temple located in a forest inhabited by thousands of monkeys and hundreds of big bats. Monkeys in the Kedaton forest are very friendly and very close to the visitors as they always feed them with nuts and other snacks. The caution should still be taken care of even though the monkeys are very friendly but sometimes they can also attack when they feel disturbed. Alas Kedaton Holy Monkey forest is one of the famous monkey forests in Bali island. 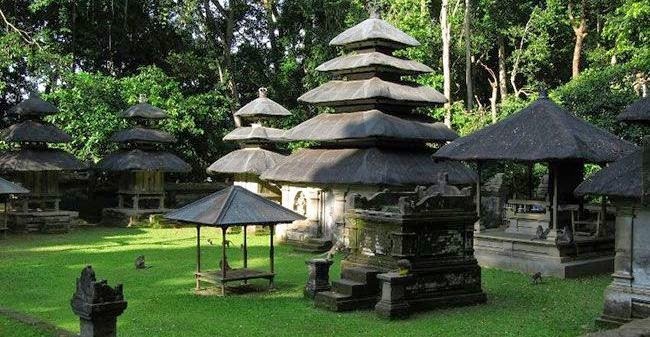 Alas Kedaton is a very famous tourist destination in Bali, especially in Tabanan. This place will be visited by many tourists both local and international, especially on public holidays. The Visitors will usually be escorted by a local guide who knows the area around the forest to have a look around the temple area and surrounding forest areas. Not far from this location also provides stalls selling souvenirs, a playground for children, and other facilities. So that this place is also suitable for family holidays.